When a minor under the age of 18 commits a crime, they are typically dealt with in juvenile court depending the severity of the incident leading up to their arrest. The crimes are the same whether they are handled in adult or juvenile court, however the punishments are different because in juvenile court, there is a presumption that juveniles are not fully capable of making and being responsible for their decisions. If a juvenile is tried in juvenile court, they are considered to be a delinquent minor, not necessarily a criminal. Burglary, however, is viewed as a more serious crime and older juveniles who are arrested for burglary are usually tried in adult court with respect to Florida Statute 985.557(1)(a)11. The Fort Lauderdale juvenile burglary lawyers at The Ansara Law Firm have handled numerous cases involving juvenile burglary and have gotten them sent to juvenile court so that our clients would be given a second chance at life without being branded as a criminal. Florida law, Statute 810.02 states that a burglary means “entering or remaining in a dwelling, a structure, or a conveyance with the intent to commit an offense therein, unless the premises are at the time open to the public or the defendant is licensed or invited to enter or remain.” In Florida, burglary without aggravating factors when a person is inside the dwelling is a felony of the second degree. If the dwelling is unoccupied at the time of burglary, then it is a felony of the first degree. Even appearing to have the intent to break into someone’s dwelling, structure or conveyance is enough to land you with a burglary charge. For example, a juvenile who attempts to pick a lock on someone’s back door with the clear intention of illegally entering the property has committed a burglary even if they never went inside or stole anything. When a juvenile commits this act, it is referred to as juvenile burglary and is usually tried in adult court due to the severity of the charge. There are several determining factors as to what constitutes as burglary. With the intent to commit a forcible felony. Causes damages to the property, dwelling or structure in excess of $1,000. If you are a juvenile and you have been charged with burglary in any degree, call the Fort Lauderdale juvenile burglary attorneys at The Ansara Law Firm to increase your chances of being sent to juvenile court and given an opportunity to make good on your mistake, rather than being processed through adult court and sent to Florida State prison. Burglary charges are not taken lightly by the State, and their immediate reaction to these kinds of cases is to crack down hard on defendants. Our attorneys and their unique methods will make the difference between being in jail or not as a result of these charges. Don’t leave your future up to the judge; call our offices immediately to set up a free consultation to discuss your case. 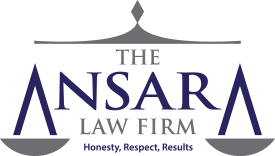 If you, your child, or the child of a friend or loved one have recently been charged with juvenile burglary, call The Ansara Law Firm immediately at (954) 761-4011 to schedule a free initial consultation to discuss your legal matter.